Oppo is a Chinese smartphone maker and one of the biggest when it comes to the business at the moment. 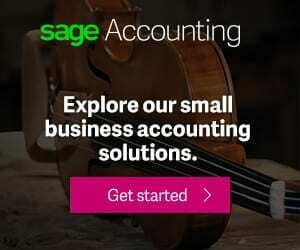 You might or might not have heard of them but their smartphones speak for itself. 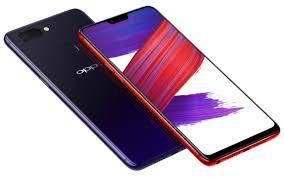 One of their latest release, the Oppo R15 is here as the successor to the Oppo R11 smartphone. The new smartphone comes with characteristic display notch seen in the iPhone X flagship. This has been seen in other smartphones like the Asus Zenfone 5 and Oukitel U18. Putting aside the characteristic similarity to the iPhone flagship, the Oppo R15 appears to have a relatively smaller notch compared to the one on other smartphones. Sporting a 19:9 aspect ratio, the smartphone almost has an edge to edge display with only a small bezel in its way at the bottom. Also, the Oppo R15 is made of aluminium conferring a level of premium feel to the device. Moving to the viewing screen, Oppo does well to go for a ctisp resolution display which also has a considerably large size. The Oppo R15 comes with a 6.28-inch 1080 X 2280 pixels with a 401ppi pixel density. It is worthy of note, that the type of screen featured here is an AMOLED panel which is known for nice contrast and impressive colour reproduction. Supplying power on the Oppo R15, is a 3, 450mAh Li-Po battery which is not much but is enough for day by day usage. While this might not be as large as some other smartphones and a little above the average capacity line, a better chipset helps to conserve power amongst other things. Oppo R15 also charges using the quick charge feature, hence, more charge over time. On paper, the Oppo is quite ready for business in the photography aspect with dual camera combination at the rear side and a nice one upfront too. Employing a 16MP and 5MP rear camera which is quite ideal for taking pictures with the lesser camera gathering more depth. Taking selfies on the Oppo R15 is done using the 8MP front camera alongside included effects for a finer you. Running the show behind the curtain, is a capable MediaTek SoC and one of its latest chipset at that. Featuring a MediaTek Helio P60 processor with eight cores and a Mali-G72 GPU having two cores in control of sorting out graphics. In addition to the above, there’s still a more than enough 6GB RAM for running task smoothly on the Oppo R15 in combination with a 128GB built-in storage. You may decide to increase this up to 256GB if you want more storage space. Oppo R15 will also be shipping out with Android 8.1 Oreo pre-installed with Oppo’s own modification added to it. 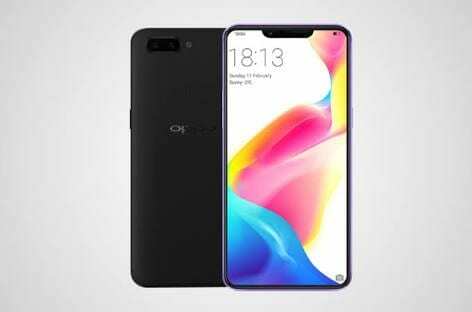 The Oppo R15 smartphone will be available for sale come next month in various online stores for about 171, 000 Naira depending on your location and the deal.